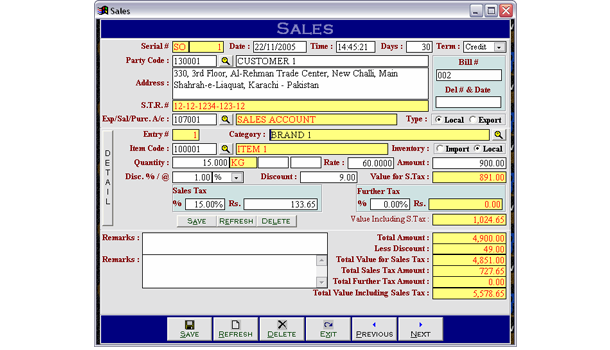 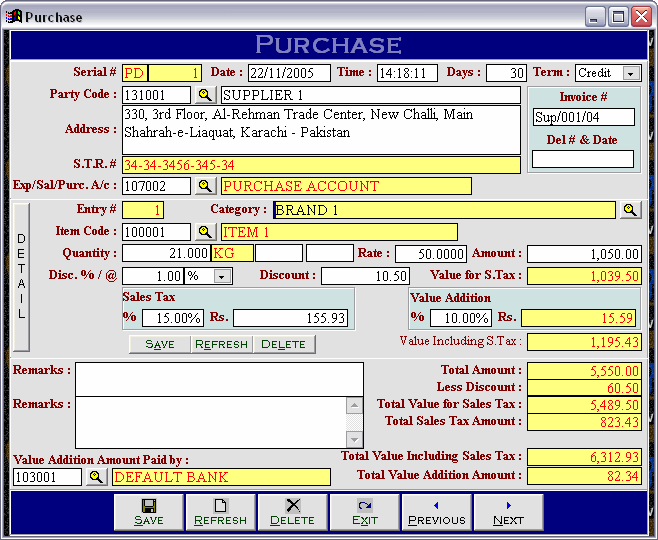 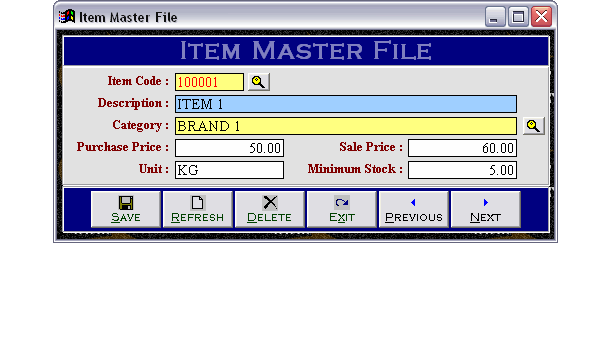 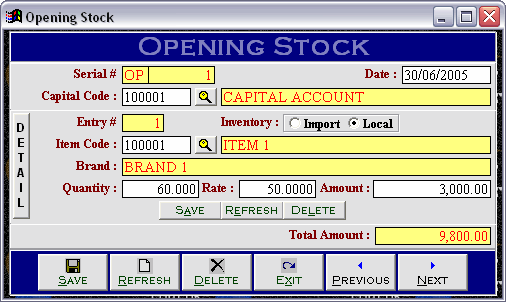 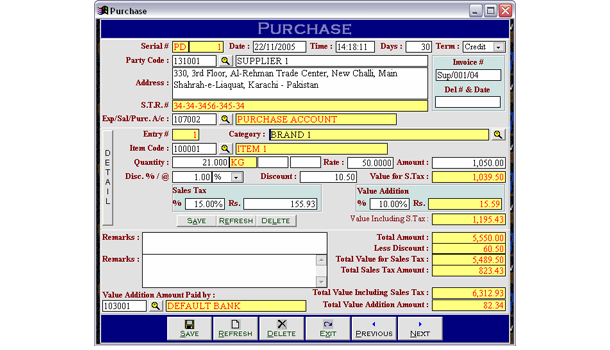 Inventory module maintains sales tax related reports automatically. 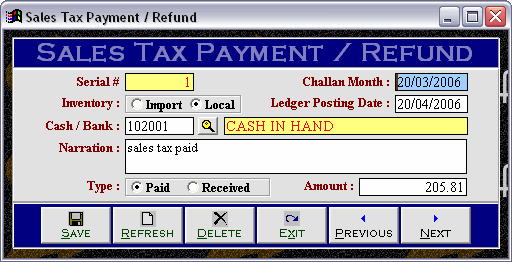 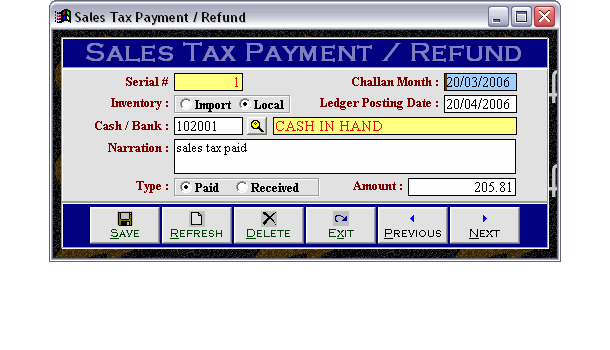 Sales Tax module provides all the reports like Purchases / Sales Register & Summary, Sales Tax Invoice, Challan Calculation Sheet ETC. 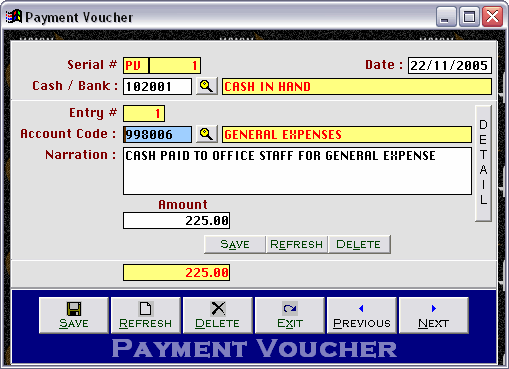 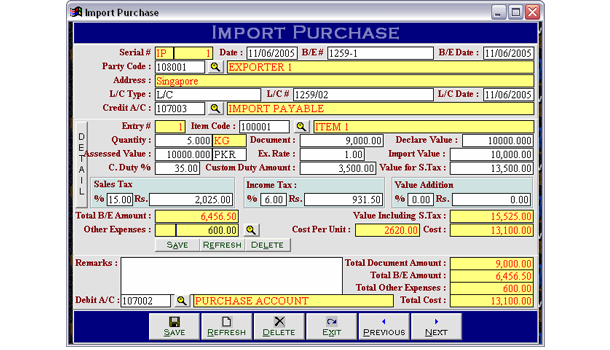 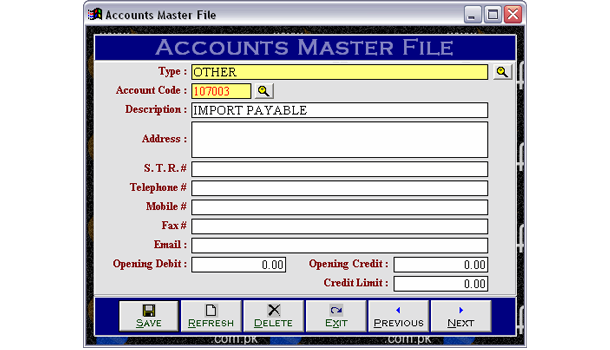 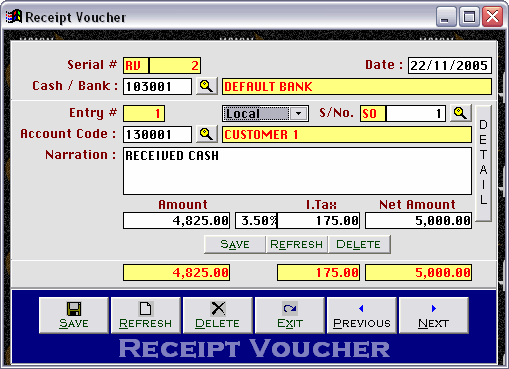 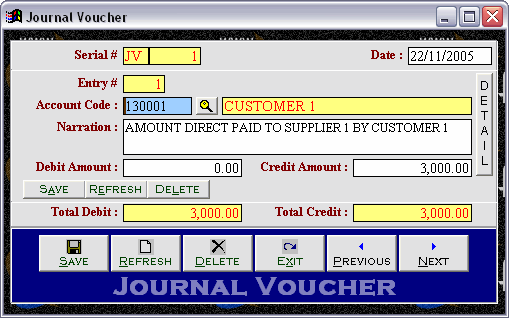 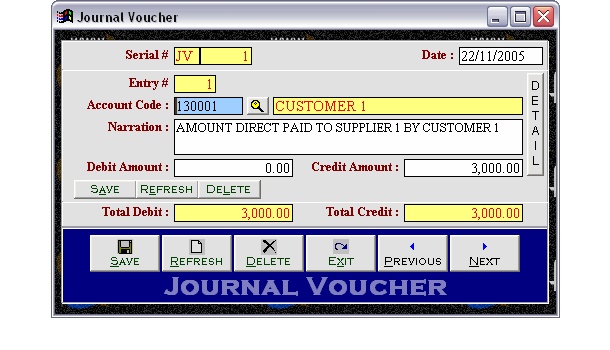 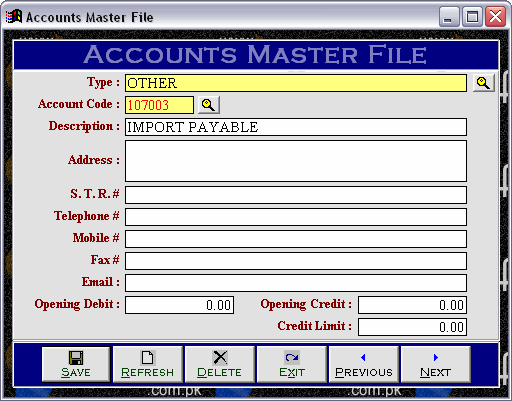 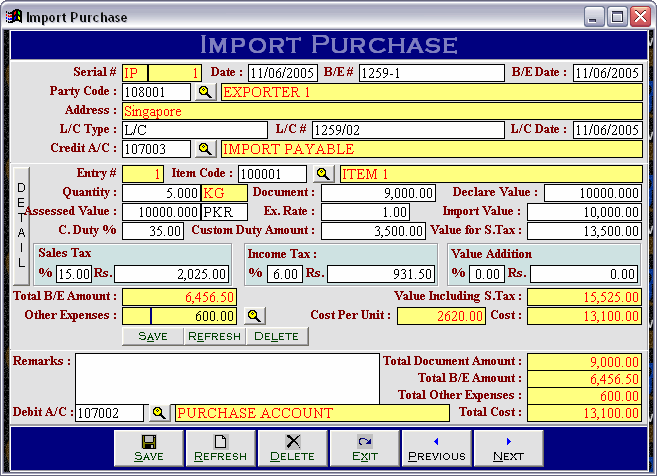 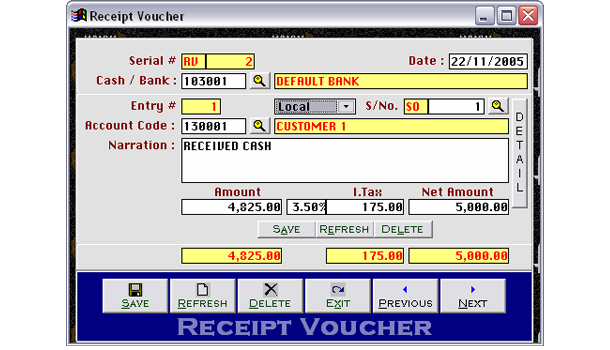 Accounting module of software is integrated with each other modules.